ARE YOU TIRED OF FEELING BAD? ARE YOUR BLOOD TEST NORMAL, BUT YOU STILL FEEL BAD? 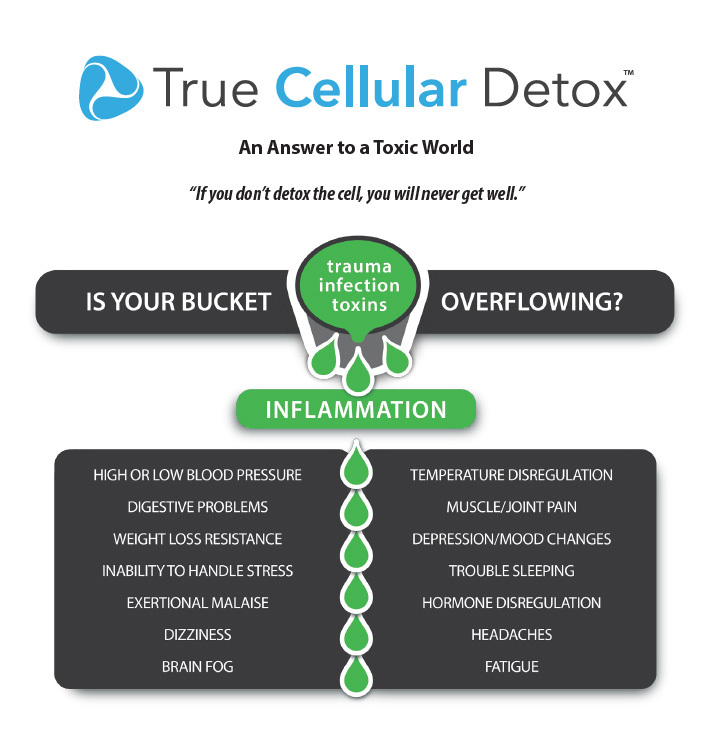 True Cellular Detox is a process, designed to remove systemic inflammation, heavy metals, and other environmental toxins at the cellular level. Cellular toxicity is a contributing factor to, if not the source of, most of today’s chronic health conditions. The word “detox” has become trendy, and you can buy systems that claim to cleanse virtually every organ of the body, from your liver to your colon. These products may do some short-term good, but most are ineffective and many border on being dangerous. None approach detoxification at a systemic cellular level. True Cellular Detox is the solution. 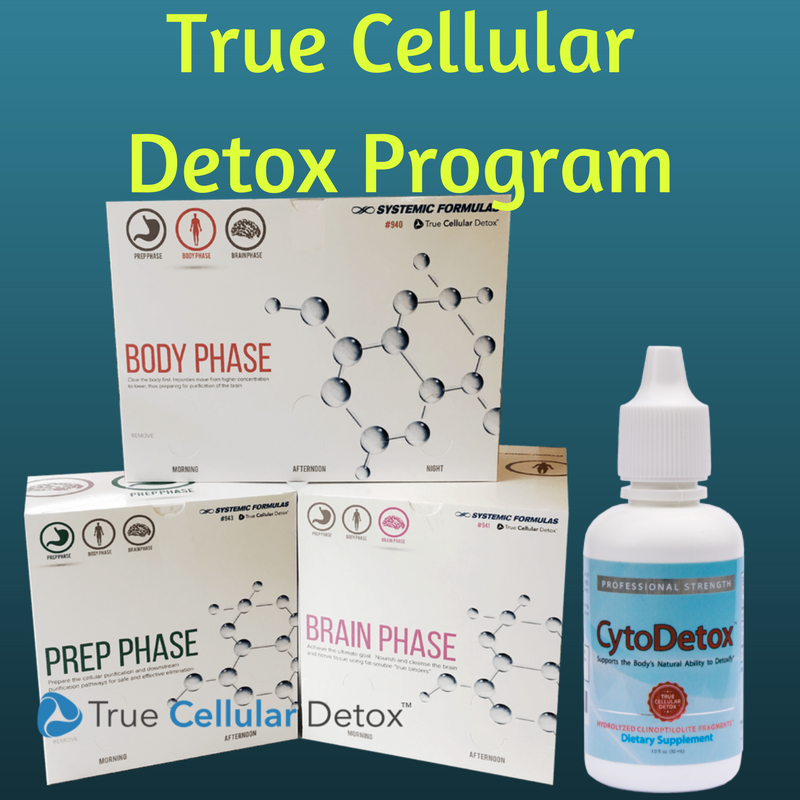 With True Cellular Detox as your platform, you bring your body through a strategic process of restoring the state of health you were born into, optimizing cellular and systemic function, and rediscovering the vibrant you that seems to have been lost. True Cellular Detox gives you the map, the tools, the direction, and best of all, the proven efficacious formula for health optimization. Call us today for your free 15 minute consultation!